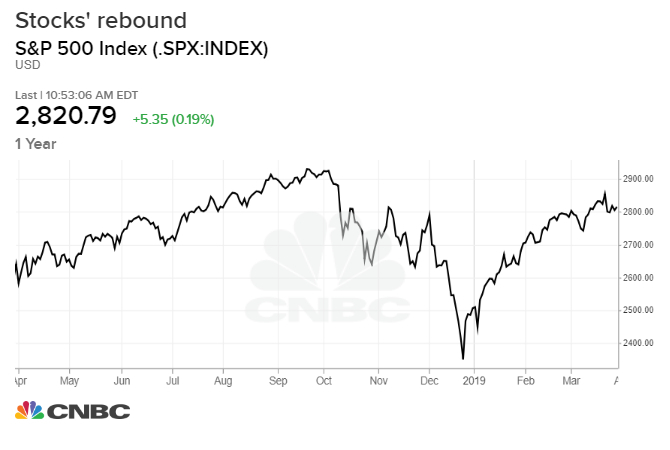 The stock market’s stellar performance this year came after a brutal end of 2018. Investors who suffered the worst December since the Great Depression seemed still reluctant to throw themselves back in even though stocks have fully made back the steep losses. While shunning equity funds, investors are warming to the corporate bond market. The amount of investor money flowing into high-grade bond funds is now on pace break a new monthly record. The move is seen as a hedge to the Federal Reserve’s about face on interest rates last week, saying it would pause rate hikes. Corporate bond yields are generally higher than U.S. Treasuries.